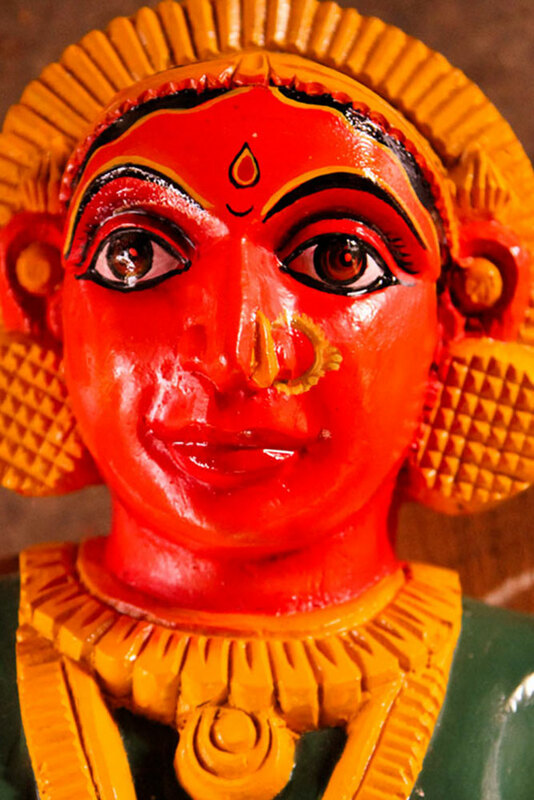 Carved idol of one of the forms of Goddess Parvathi. 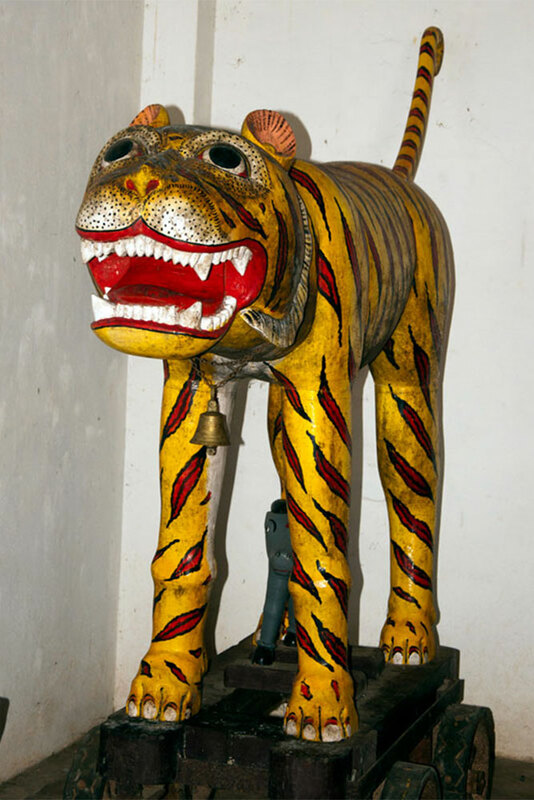 Idol of a tiger represented as a ride of Goddess Durga. 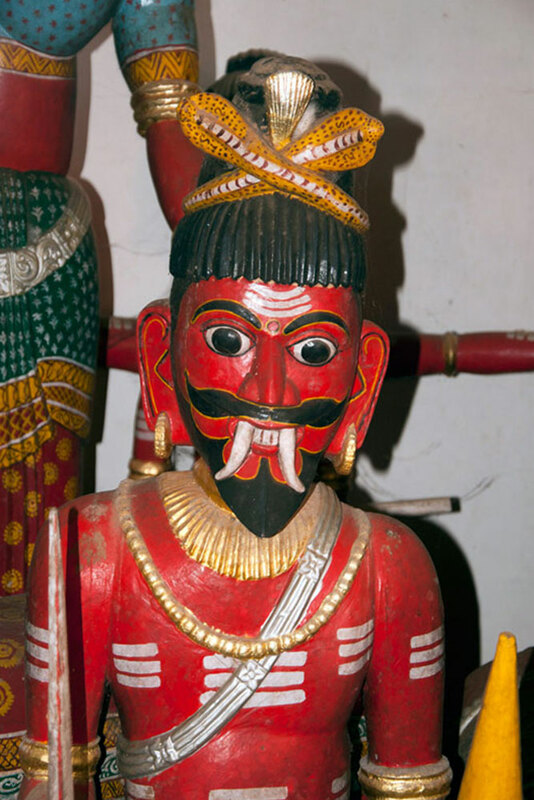 Idol of a satan (rakshasa), attendant of Lord Shiva. Carved article of three headed satan (bhoota). 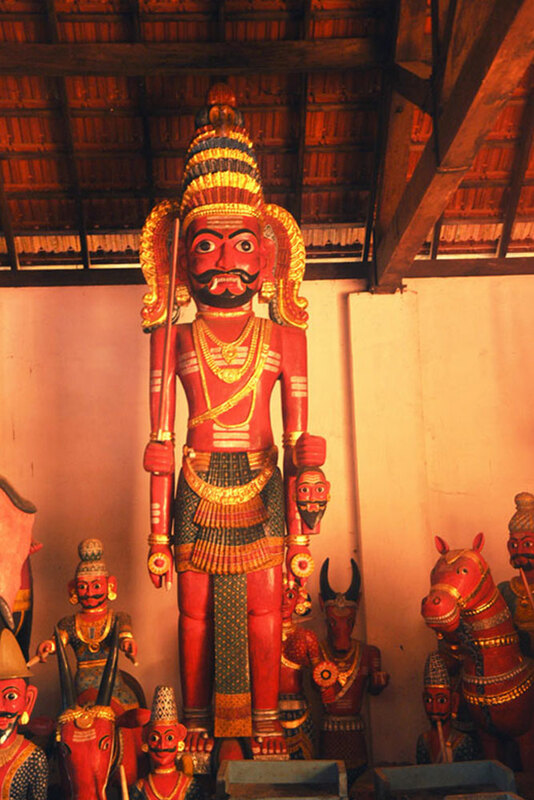 Idol of Veerabhadra expressing anger. One of the forms Goddess Parvathi. 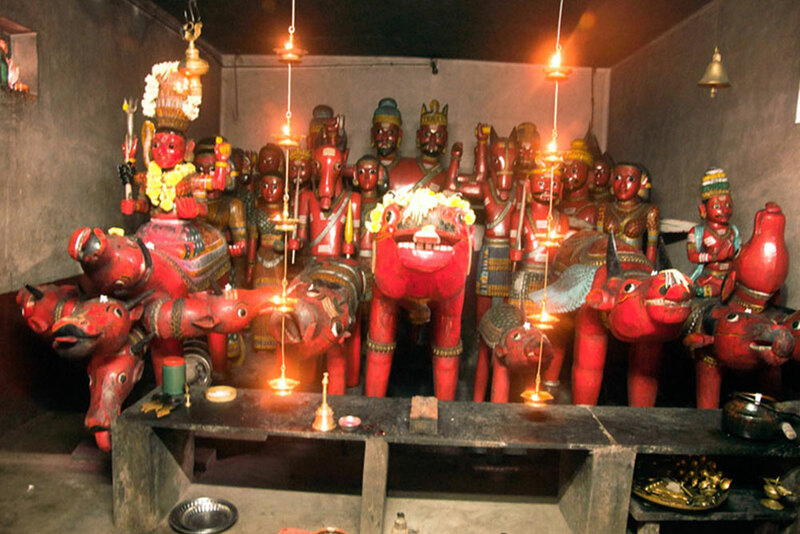 Varieties of bhoota idols of different gods worshiped in the temple. One of the forms of Nandi. An incarnation form of Lord Shiva. Saint carved as bootha figures. The color combinations are continued from the generations and there has been no changes made. 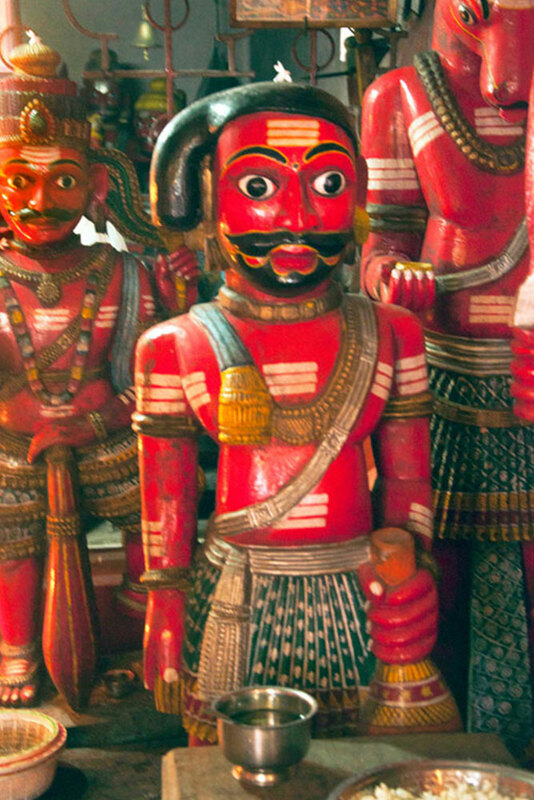 Bhoota figures are basically wooden God idols worshiped in the south. 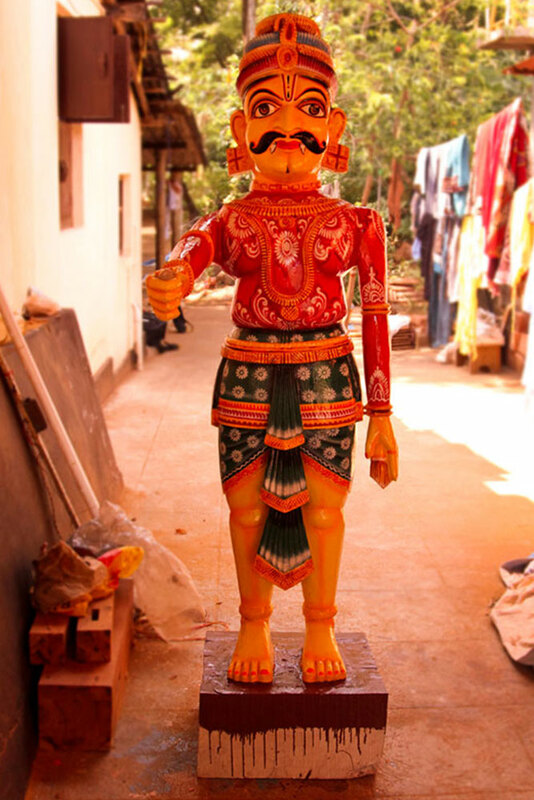 Bhoota Figures are taken or based on from the purathana kala (olden traditions) or it is on the religious beliefs (dharmika nambike) that led the people of the villages. 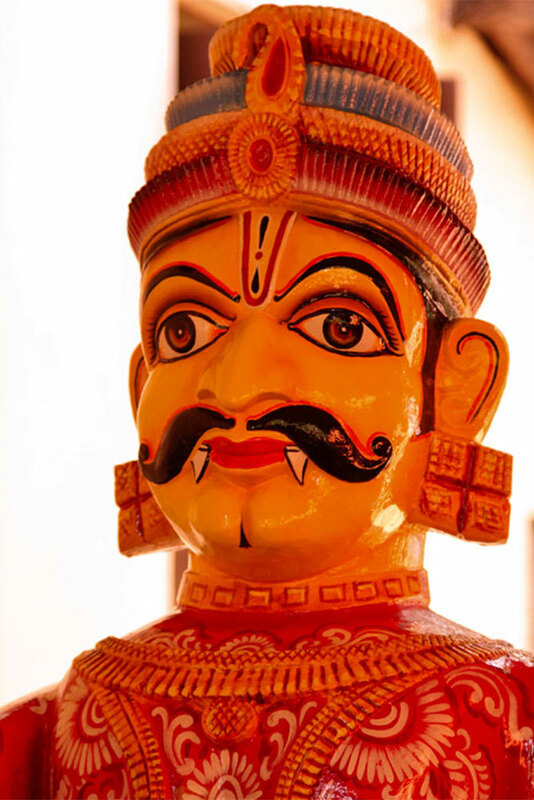 It is a traditional art that is transferred only from the forefathers to the next generation, seen in the Basrur region of Udupi in Karnataka. 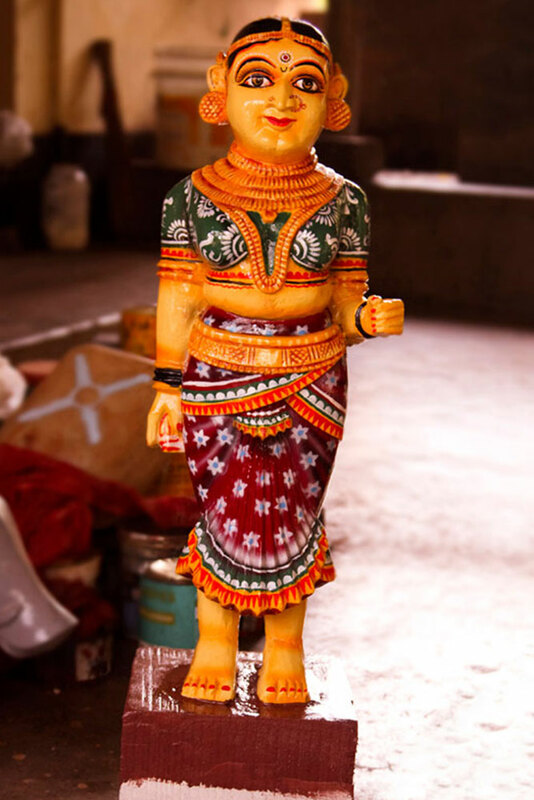 Generally these figures are made in the month from January to July that are sold more in temples of Kundapura taluk, South Canara, (Dakshina Kannada) and the Udupi district. 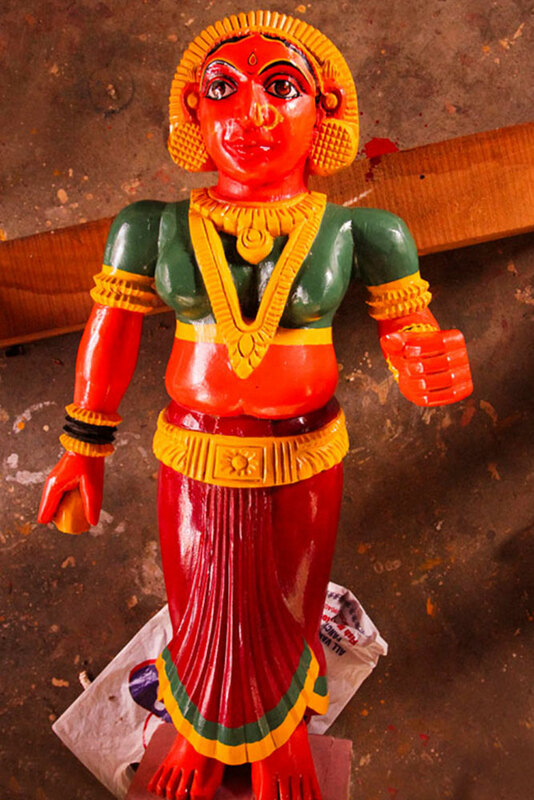 The worship of these types of idols are usually seen in the Tulu nadu regions of Karnataka. 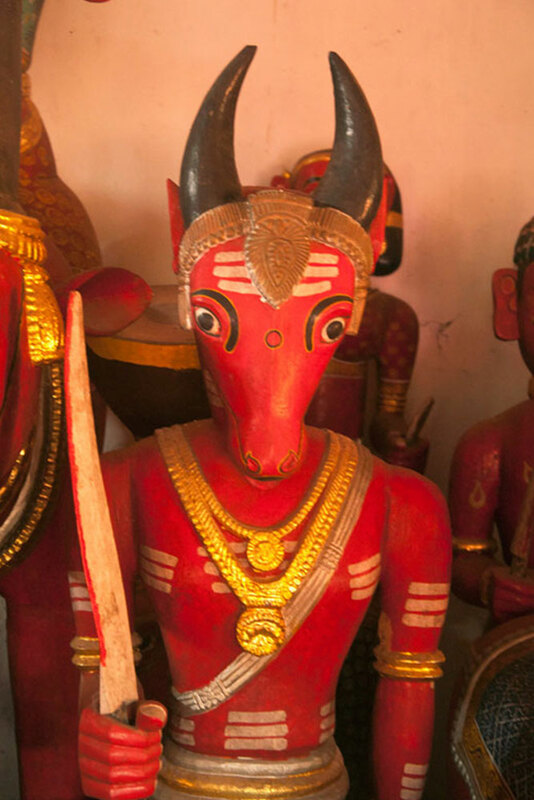 Bhoota’s are referred as ethereal spirits or demi gods that protect the people of the village from evil. 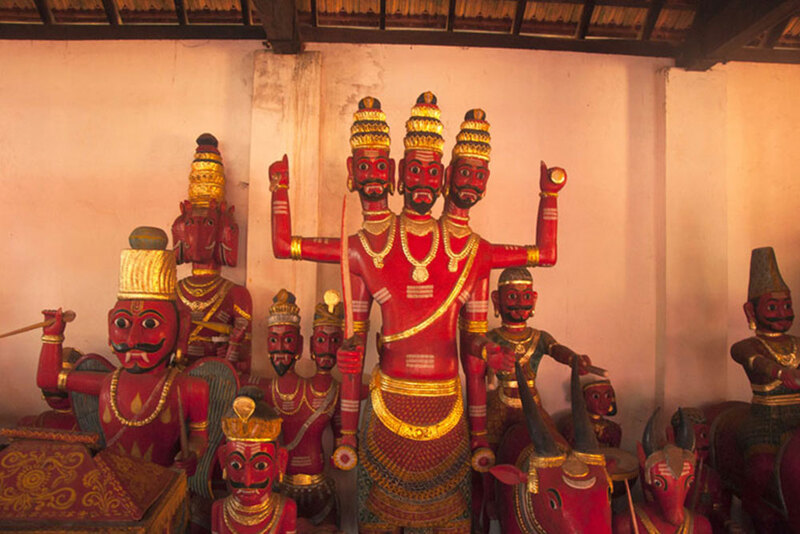 It is a prehistoric ritual form of worship that exists within the Tulu speaking community of people.